Calcium keeps bones and teeth healthy and strong, and around 1,000 mg of calcium per day is advisable for those aged between 19 and 50. 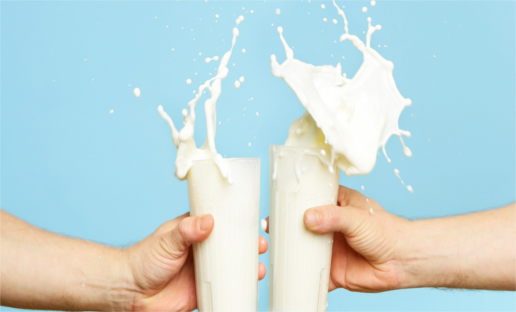 It’s the equivalent of about three glasses of milk, but for vegans, there can be more options, reports femalefirst.co.uk. Kale: Just one cup of raw kale has 90 mg of calcium so three cups will give you more than one cup of milk. Great for salads and smoothies, it is an easy food to include in your diet. Oranges: Just one orange has 60 mg of calcium so snacking on this citrus fruit through the day will get you close to your target. Or why not enjoy a glass of fortified orange juice in the morning? Soy Milk: It’s a dairy free alternative that contains 300 mg of calcium, just like a normal glass of milk. Oatmeal: It’s full of fibre, filling, and helps keep your heart healthy. Just one packet of this has 105 mg of calcium. Just watch out as most porridge is not suitable for milk allergy sufferers or vegans so choose wisely. Soy Beans: One cup of Soy milk contains 261 mg of calcium. Almonds: It helps in encouraging weight loss and reduce cholesterol. White Beans: Only half a cup of white beans have 100 mg of calcium and they look like they do too! Figs: These are high in fibre and iron but also give you 55 mg of calcium in just two figs. Broccoli: This green vegetable has 180 mg of calcium in only one cup so when you were told to eat your greens as a child, your mother was actually thinking about your teeth and bones.